It's thought that up to 10 tons of extraterrestrial dust lands on Earth each day. Among the deliveries are these tiny, metallic micrometeorites. Scientists normally hunt for the mini space rocks (typically 0.2 to 0.3 mm in diameter) in polar regions and at the bottom of the ocean, where the samples won't be contaminated by industrial pollution. 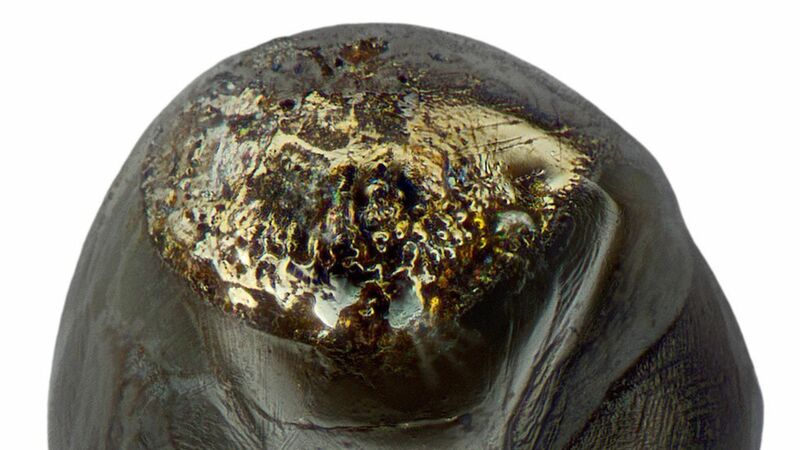 But Jon Larsen, a jazz musician-turned-researcher, found this micrometeorite and others on some rooftops in Europe. He describes the alien dust, and his quest to find it, in his book In Search of Stardust.